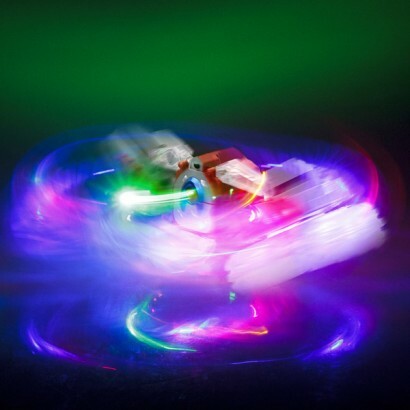 Not just any remote control stunt car, the Stunt Racer 360 is anything but ordinary. 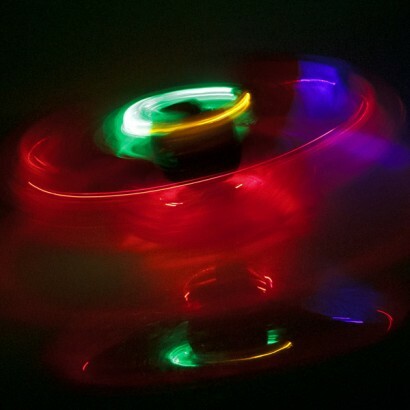 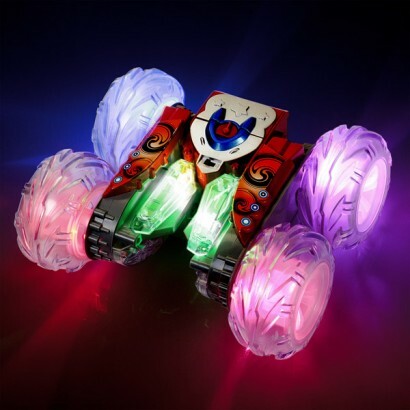 Illuminated with super-bright lights, the left and right wheel sets cleverly split to launch the car into amazing 360 degree stunts, creating cool light shows at the same time! 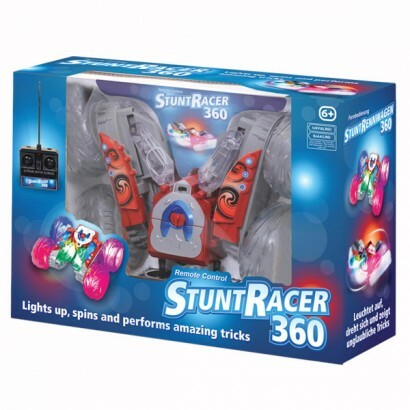 Beware though, once you’ve played with the Stunt Racer 360, all other remote control cars will just seem plain boring!